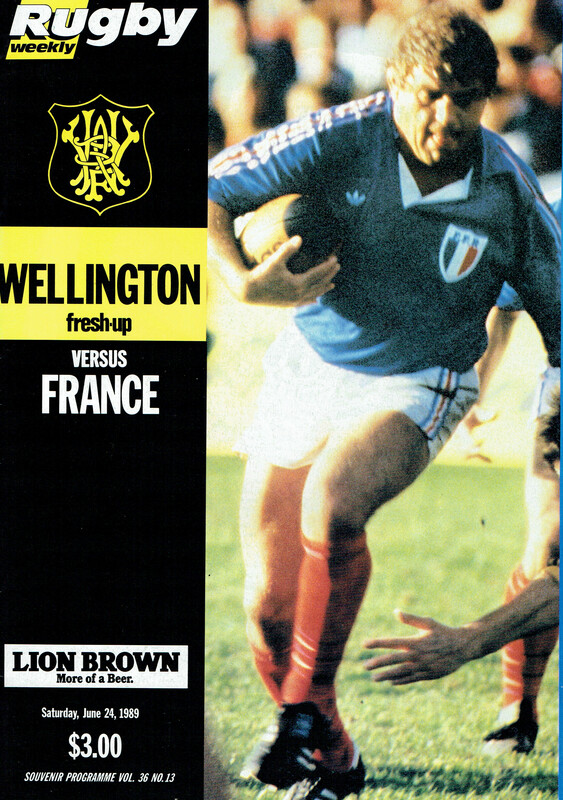 In 1989 on 24 June, Wellington played France, and edged them 24-23 in a thriller at Athletic Park – which I was actually at! Stephen Berg, Director, New Zealand Rugby Museum. 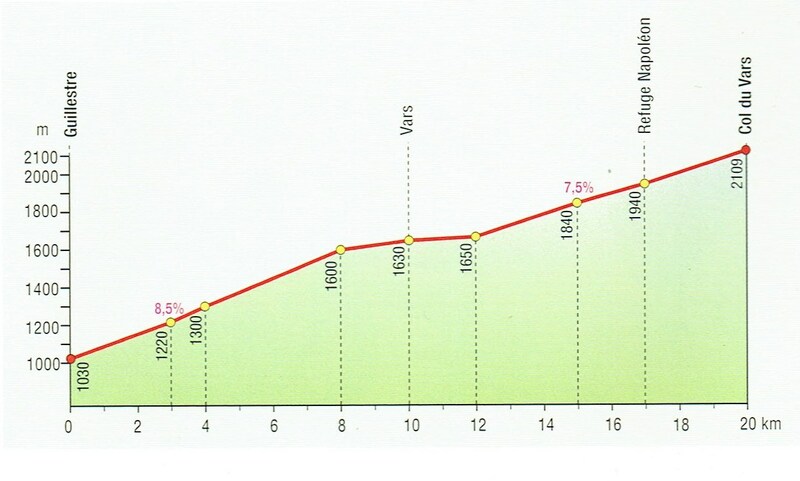 Overall ride and climb – 119 km and 2,627m. 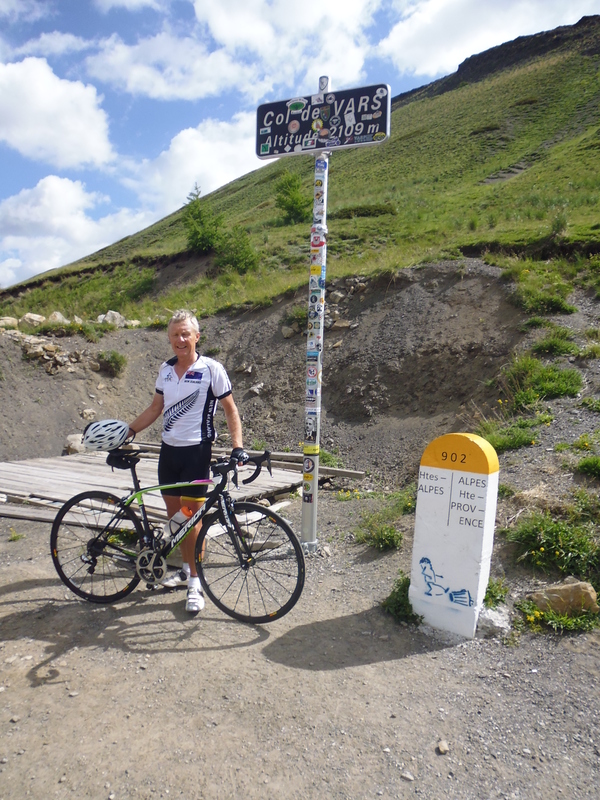 Today starts with another famous Tour climb – the Col de Vars. 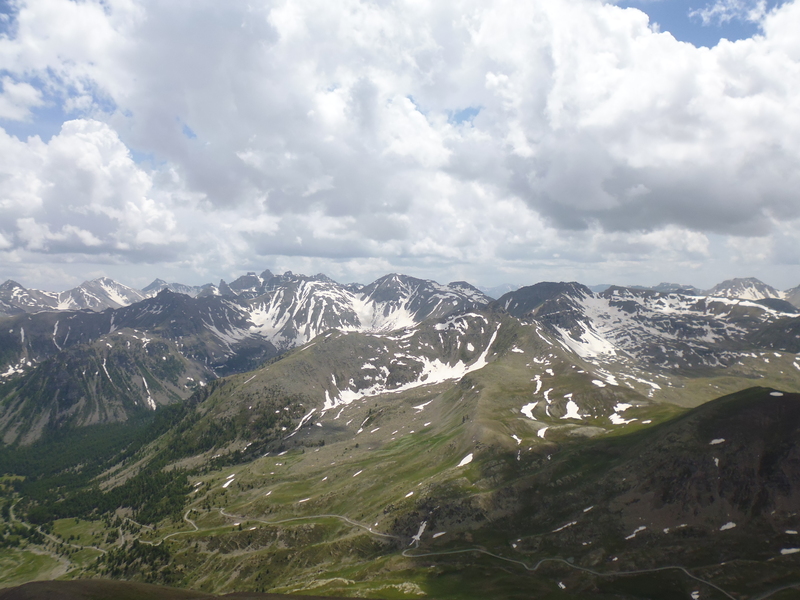 A demanding climb through peaceful landscape: the calm before the storm. Pat started the Bonnette Climb just under halfway, riding 15km at a slope of 10 – 14 % (and 12% slope most of the way); this is like riding to the top of the Turoa ski field. At the top of the climb John, the tour leader, had raced ahead in the tour van and set up the tour picnic table with camp chairs, masses of lovely French food and thick wool blankets to ward of the cold. 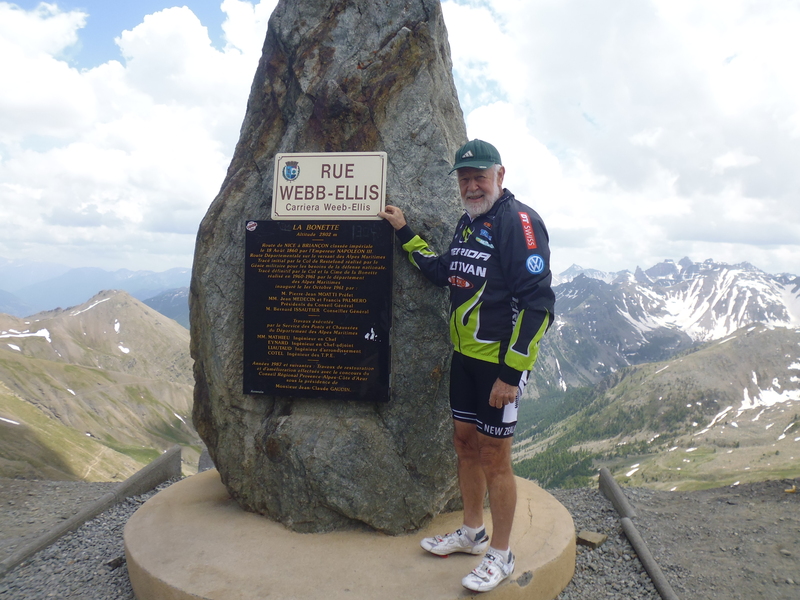 This is the top of a Mountain, after all, and higher than the Mt Ruapehu Summit. They couldn’t go too fast as frequent hair pin bends could push them over the edge of a cliff. 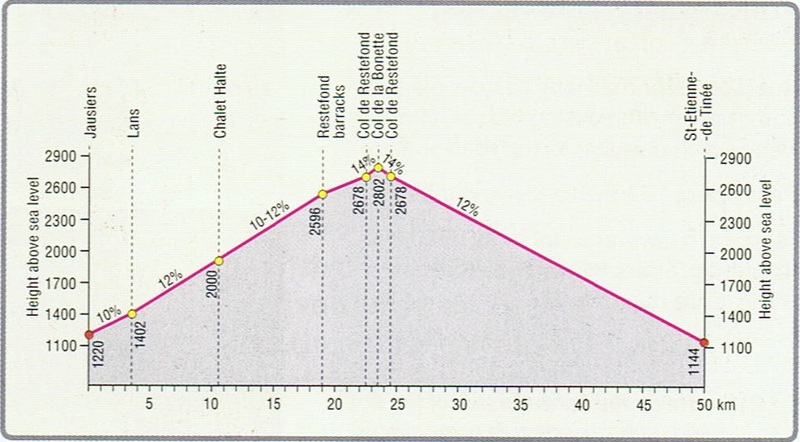 As Pat commented – this gave new meaning to a hair-raising descent (2,860 m). 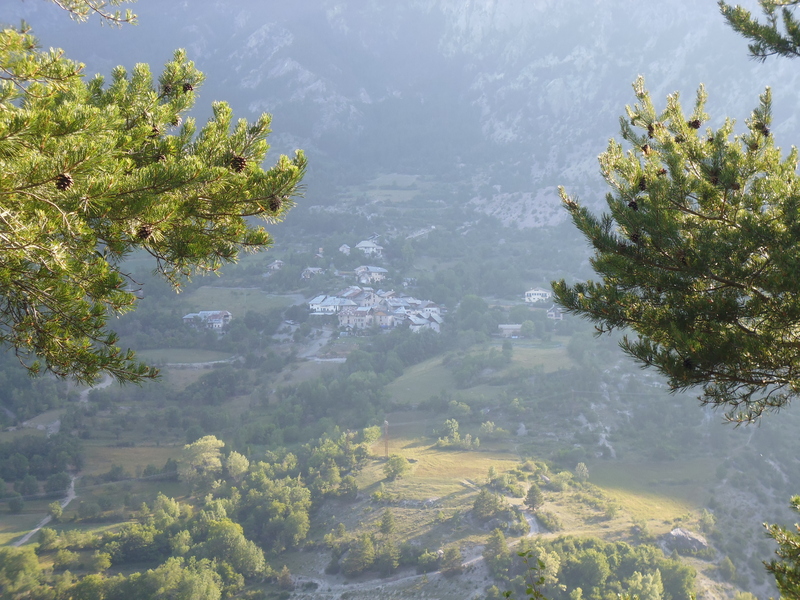 Having conquered the Tour de France’s highest pass, they descend into the picturesque old mountain town of St. Sauveur-sur-Tinée, where rest – and a super restaurant awaited! 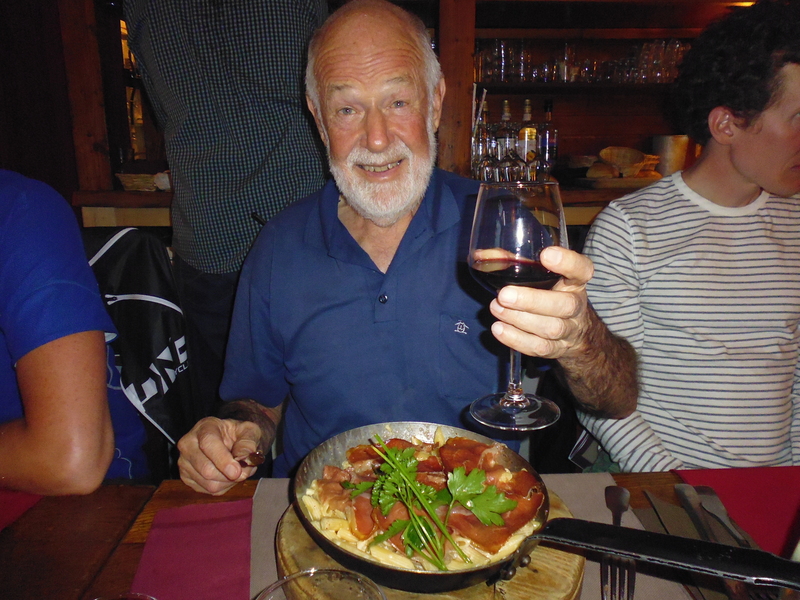 Fantastic meal that night – Garry and Dave, a rider from the USA, shared a huge roast, with the only down side: a dehydrated Garry was not in the best shape for riding the next day! They all had sorbet with lashing of vodka. Tagged All Blacks, France, new zealand, new zealand rugby museum, Tour de FranceBookmark the permalink.